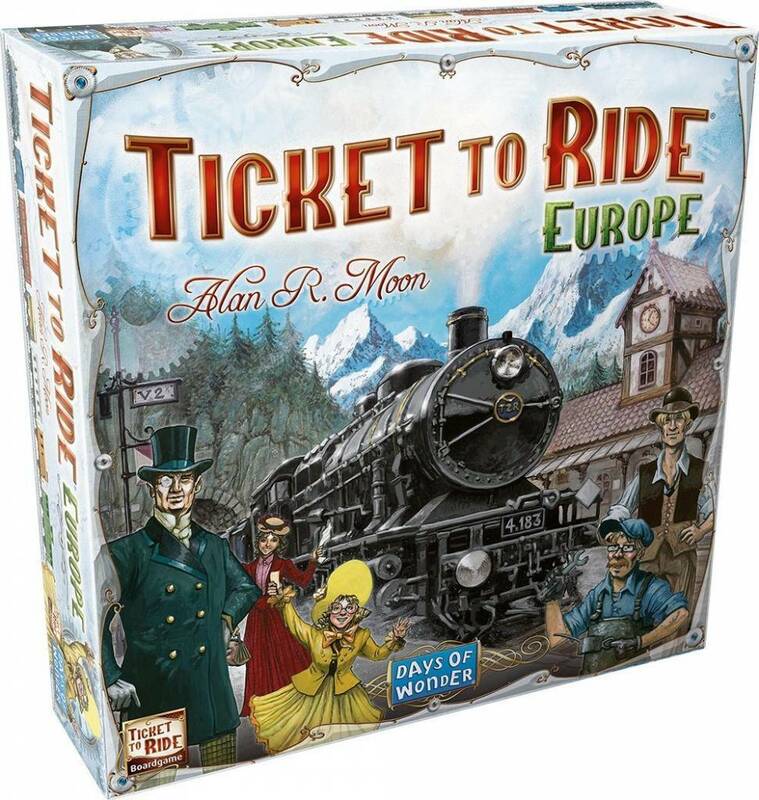 Get ready for a new train adventure as you travel across Europe with Ticket to Ride - Europe, the new edition of the worldwide hit from Days of Wonder. 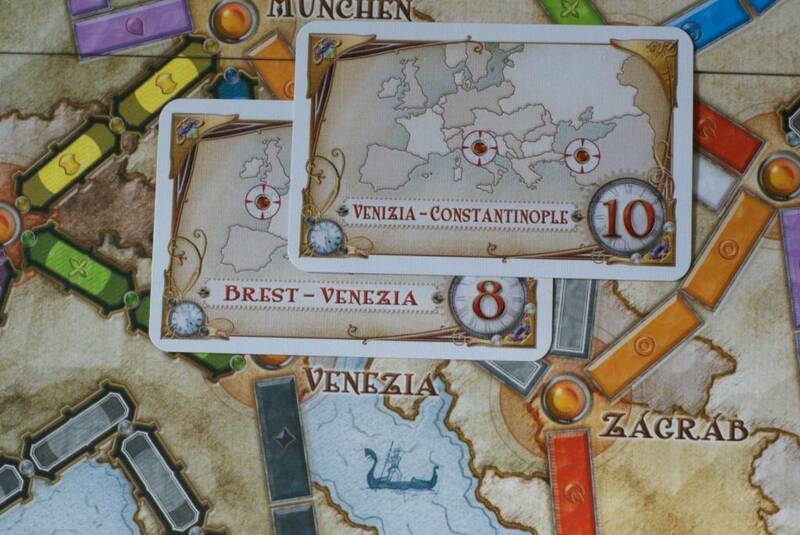 From Edinburgh to Constantinople and from Lisbon to Moscow, the game will take you on a ride to the great cities of turn-of-the-century Europe. 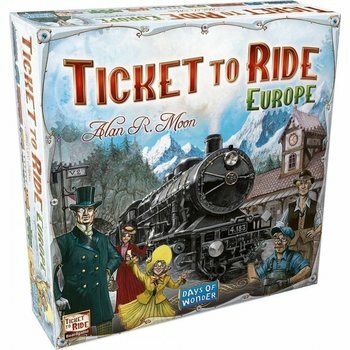 More than just a new map, Ticket to Ride - Europe features brand new gameplay elements including Tunnels, Ferries and Train Stations. 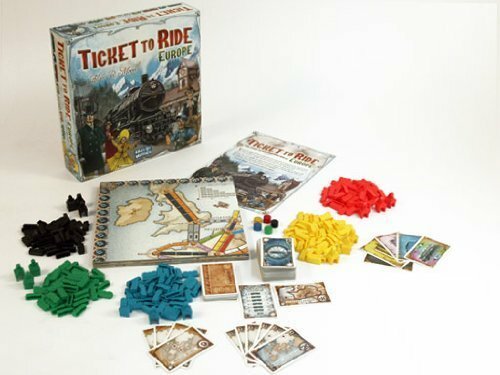 Plus, we've upgraded you to First-Class accommodations with larger cards, new Train Station game pieces, and a lavishly illustrated gameboard. Like the original, the game remains elegantly simple, can be learned in three minutes, and appeals to both families and experienced gamers. 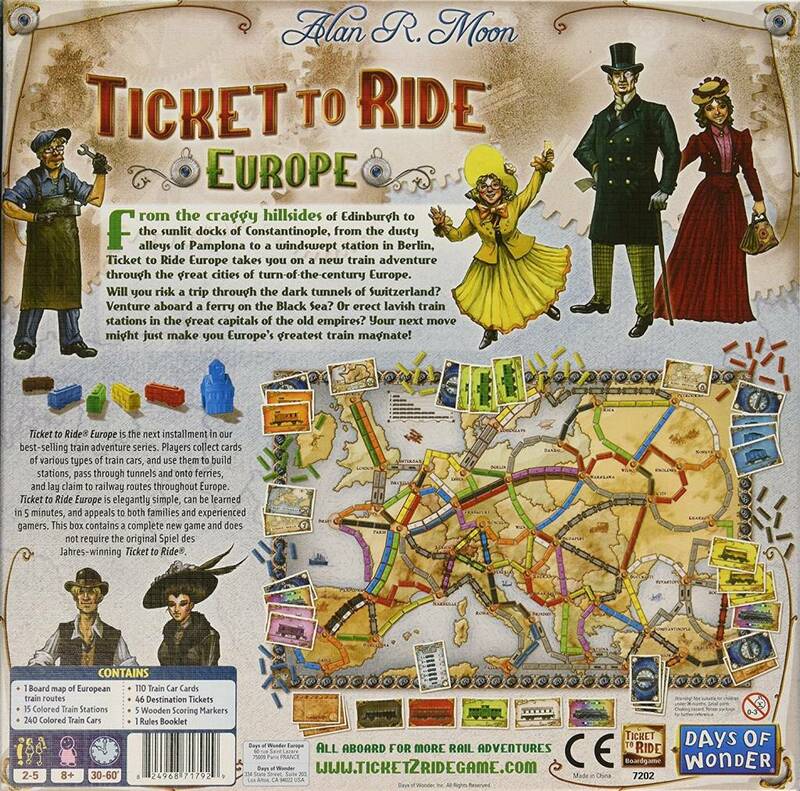 Ticket to Ride - Europe is a complete, new game and does not require the original version. It is for 2 to 5 players, and it takes 30-60 minutes to play.